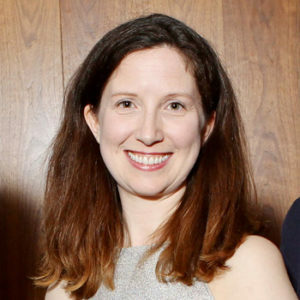 Dr. Sarah Fitzgibbon is a Cork based GP and medical writer who was diagnosed in 2014, at the age of 37, with stage 4 bowel cancer. She began to write a blog, “Adventures of a Sick Doctor”, to help keep her family and friends informed about the progress of her treatment. She works in the Northside of Cork city. Thankfully, the multiple rounds of chemotherapy, surgery and radiotherapy have done their trick, and she has been able to continue to work and write for the past four years. She now writes regularly for the Medical Independent, and has been shortlisted for a Blog Award Ireland. In December 2017, she set up a support organisation for female doctors and medical students in Ireland, the Women in Medicine in Ireland Network (WiMIN), and organised its first conference in Dublin in September 2018. This was attended by over one hundred GPs, consultants, NCHDs and medical students. The organisation now has over four hundred members, and further meetings are planned for 2019. She has become involved with fundraising for local charities since her cancer diagnosis, particularly for the Mercy University Hospital, where she has received most of her treatment. To date she has raised over €11,000 for the Mercy Foundation, through her Doctors’ Discos and running the Cork Mini-Marathon with her daughter. She has also raised money for the Irish Kidney Association and the CUH Charity. She is a member of the Deep End Ireland group, which advocates for improved primary care services for people living in areas of deprivation. She lives in Cork with her husband and three children.